Fitness by Example is dedicated to helping Oviedo clients lose weight, tone up, and achieve their fitness goals. Fitness by Example does not believe in “fad diets” because clients have a tendency to revert to former habits after the diet ends and gain the weight right back. Instead, Fitness by Example gives Oviedo clients the guidance needed to develop healthy habits that will maintain lifelong fitness. We offer boot camp classes at many convenient times throughout the day so that clients can easily fit a fitness class in before or after work. Our Oviedo boot camp classes are only thirty minutes, so it is much easier for clients to fit a boot camp class into their busy schedules. We know that our clients’ time is precious, so we pack a results-oriented, high intensity workout into thirty minutes. 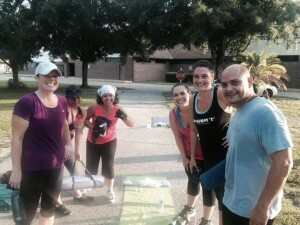 Every boot camp class is different, so clients will never get bored or deal with the dreaded fitness plateau. Our Tough Mudder class takes place at 6:30 on Saturday mornings to help clients start their weekends out right. Tough Mudder classes are one hour long and prepare clients for mud races. The classes are intense and end with a fun and vigorous tug of war. Clients can see the results they want quickly by participating in our eight week Transformation Challenge. The Transformation Challenge utilizes a two-stage program in which clients adhere to certain nutritional and exercise guidelines. These guidelines are much simpler to follow than many restrictive or time-consuming fitness program guidelines, which is part of the reason that clients have had so much success with this program. During the eight week Transformation Challenge, clients participate in three short fitness classes per week. These rigorous and timely workouts help clients burn fat without spending hours doing mundane exercises. Only having to do the exercises three times a week is a big relief for many busy clients, and helps make the Transformation Challenge more realistic and easy to stick with. When clients sign onto the eight week Transformation Challenge, Fitness by Example provides a Rapid Fat Loss Nutrition Manual. This manual is geared towards helping clients alter eating habits so that weight loss is maintained. We encourage clients to eat heartily, as starvation diets often backfire when clients eventually get tired of being hungry and start “cheating.” The delicious and healthy recipes that we provide help customers feed their muscles so that fat is burned and they have more energy. 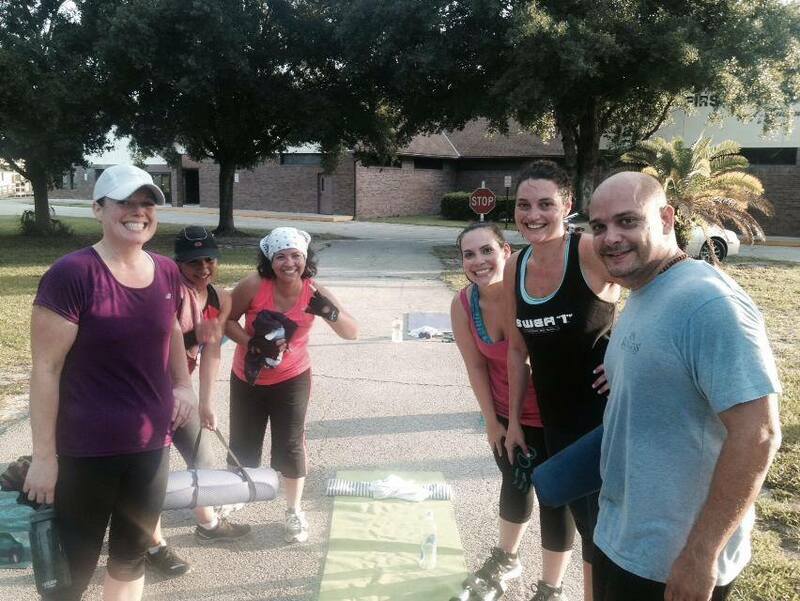 Call 407-529-4512 today to get started with our exciting Oviedo fitness class options!